A versatile and cost-effective chipboard with many uses. A slightly denser and stronger particleboard with finer chips for better quality. 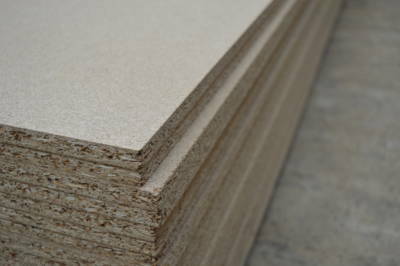 P2 Chipboard is ideally suited for use as interior fitments and furniture in dry conditions where exposure to moisture is limited. This lends itself to a variety of general joinery applications and, more specifically, usage in furniture components. In addition to being easily machinable, the product’s smooth faces allow for laminating or veneering in order to add a more decorative appearance to a versatile product. Hanson Plywood sources its collection of P2 Funiture Grade Chipboard Panels from FSC® Certified forest concessions. The company’s robust Chain of Custody management system ensures that the certification is respected and adhered to throughout the supply chain. For further information, please refer to our Environment Page. Chipboard is commonly manufactured with around 65%-70% recycled material and is further recyclable at the end of its life cycle.